The Olympus CHL2 is a high-quality routine microscope, that’s simple enough for even first-time microscope users to master. 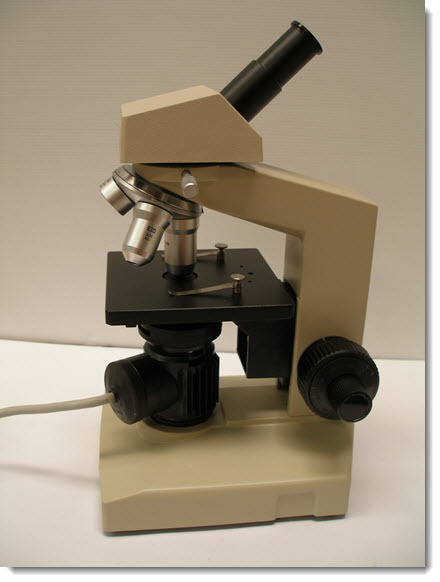 It is an affordable yet powerful tool that’s suitable for both laboratory and educational use. New, old stock. Still in original carton. 4X, 10X and 40X objectives. Focusing condenser with 20W mains illumination. 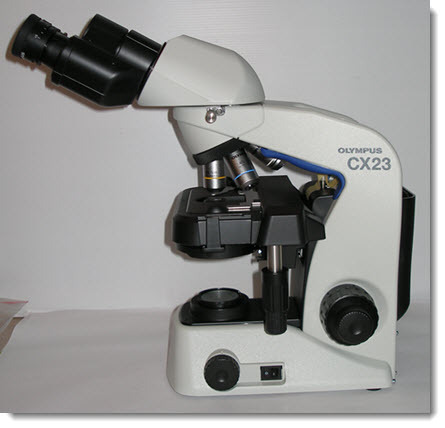 The Olympus CX23 is a high-quality biological microscope that’s easy to use. It has an ergonomic design and is particularly well suited to an educational setting. Achromat objectives in these magnifications: 4X, 10X, 40X, 100X (oil). Rackless stage and stage cover. LED light source with 20,000 hours service time.